Connected Development (CODE), a non-governmental and not for profit organisation monitoring the lead poisoning outbreak in Shikira, has condemned the federal government over the poor handling of the disaster that claimed 30 lives and leaving over 300 hundred others with high level lead contaminants in their blood. The group is particularly angry that this year’s raining season has began; yet the government is still uncertain over the specific date when remediation will commence to save children below the ages of five in the small rural mining community. Hamzat Lawal, Chief Executive Officer of the organisation in an interview with journalists in Abuja, urged the government to stop being conservative and be more transparent on management of the exercise so as to tackle it appropriately. He decried that the situation is even more worrisome as Médecins sans Frontières (MSF)/Doctors Without Borders, an international network of humanitarian services provider has threatened to leave the community. MSF after realising the outbreak in April 2015 volunteered to render free medical services to the victims, but on the condition that the environment is first remediation to avoid duplication of treatment. The CODE’s helmsman also frowned at the selective attitude of the government towards participating in activities and engaging with civil society groups working in the affected community. However, Lawal commended the Senate of the Federal Republic of Nigeria for passing a resolution mandating the Executive arm of government to embark on a total clean up of the impact site without further contemplation. He urged the Senate to also look into and review the 2007 Mining Act to reflect current realities so as to properly integrate activities of artisanal miners to address the problems bedeviling the sector in the country. Simba Tirima, representative of TerraGraphics, the organisation that conducted analysis of the environmental characterisation and impact of the devastation, said over 500,000 mg/kg Pb of lead contaminants were found in some parts of the village. This outrageous figure, he hinted contradict the the United States Environmental Protection Agency threshold of 400 mg/kg Pb for residential soil. Tirima advised the federal government to partner with victims and members of the affected community as well as other rights groups to ensure proper coordination in tackling the epidemic. 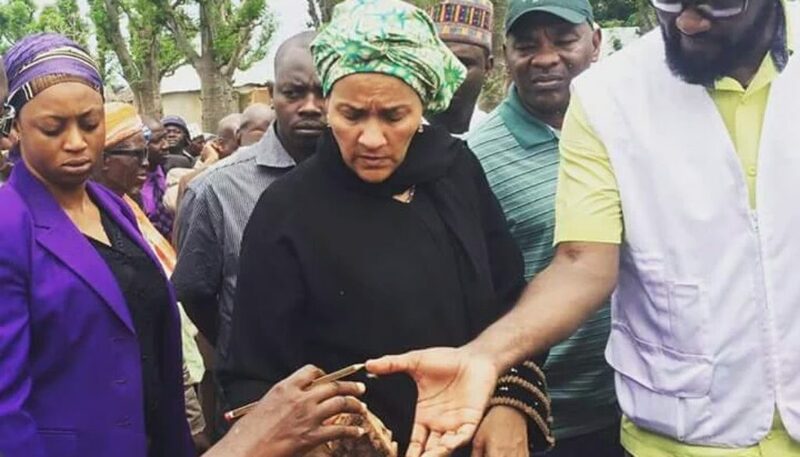 The minister of Environment, Amina Mohammed, visited Shikira recently and declared it a national disaster. Mohammed after her assessment tour concluded that there was urgent need to clean up the environment to protect other children from further exposure of the contamination and restore back livelihood in the community. While government, environmental rights as well as humanitarian groups continue to brainstorm on various methods of solving the menace, it is important to note that over 300 children are still living with high level lead poison in their blood with many others vulnerable to further contamination. The Social Change Summit in Lagos: Attracting Resources to Address Nigeria Social Challenges	Would The Youths Be Given The Opportunity to Run in Nigeria?